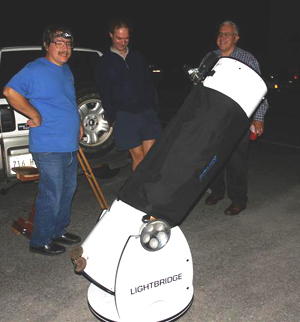 We spent quite a bit of time observing Comet Holmes with the Club's Lightbridge and Lee Olson's 25x100mm binoculars. 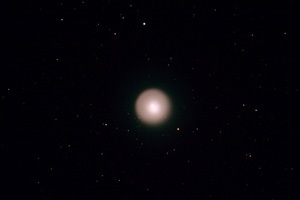 The comet looked stunning in both instruments. 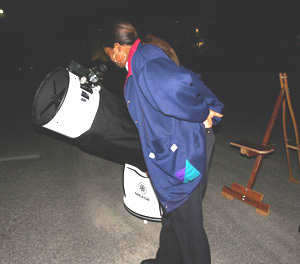 The view was similar to the 10 second photo Hap G. took through his 10 inch Newtonian on October 29. 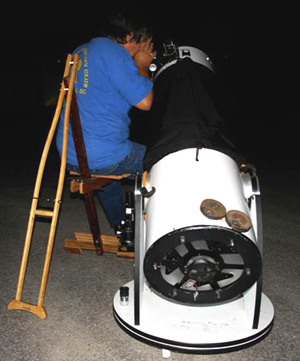 Note that Paul is sitting on a home-made observing chair which uses a wooden crutch for the rear brace. Paul spent about $3.00 on the chair and has parts left over. Everyone is welcome at these sessions and the SCETV security guards frequently join us in viewing the heavens. 10 second photo, 29 Oct, Hap G.